We have genuine Windows 10 CD Keys / Windows 10 serials at just £8.62 / €9.70 with instant delivery! 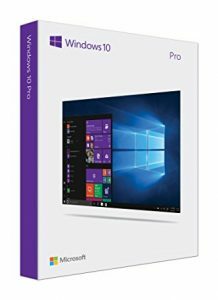 Download Windows 10 and activate at this amazing discount right now! Best price for Windows 10 CD Keys cheap, with instant email delivery! With over 30,000 reviews on TrustPilot, we can say with confidence that you should treat CJS CD Keys as your go-to destination for all things related to CD Keys & Serials! 40% off XCOM 2 Steam Keys! Standard and Deluxe available. CJS CD Keys currently have the BEST price on XCOM 2, Pre-order your CD Key for Steam NOW at just £25.99 / €34.09 / $38.10! The stock is due to arrive today 4th February! Please check our product page for live stock status. By the time you read this email, we may well have the games already in stock available for instant delivery! We also offer DELUXE EDITION! 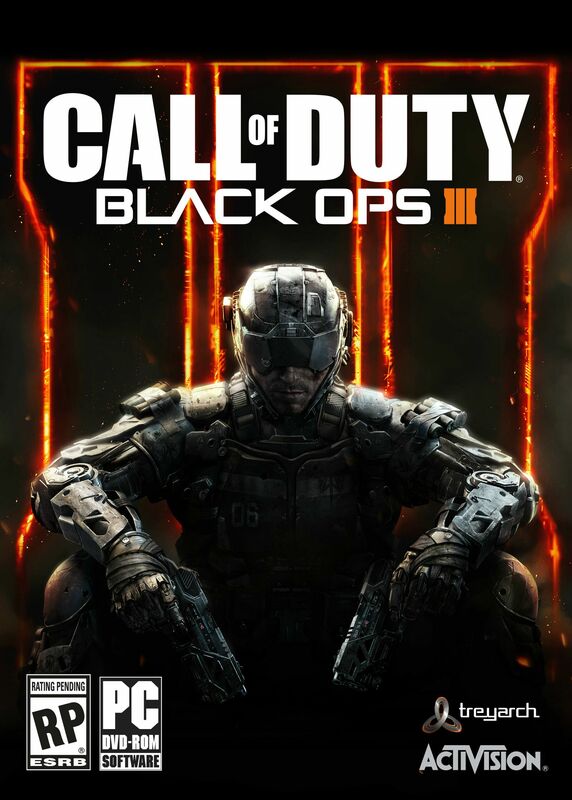 In addition to the standard edition of the game, you can also get pre-order BONUS DLC included with your game! Please check the product page for more details. 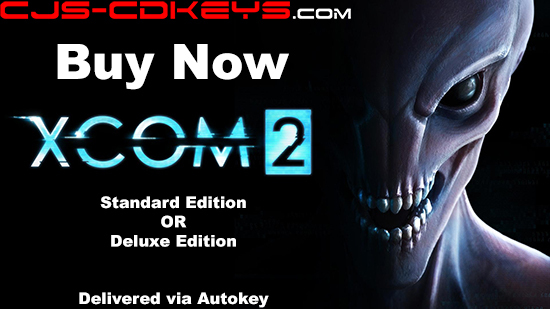 Pre-order XCOM 2 Steam Keys at CJS CD Keys and you can get the DIGITAL DELUXE Edition! The XCOM 2 Digital Deluxe Edition CD Key for Steam includes the full base game, XCOM 2 Reinforcement Pack, and the digital soundtrack. The game isn’t released until 5th February, but we will have the CD Keys available TODAY 4th February, so you can receive your key and start pre-loading in time for the release of the game! This really is the BEST price you’ll find online, and you can start pre-loading the game immediately after receiving your key using Steam, the awesome distribution platform made by Valve Corporation! Careful of our competitors, they aren’t so trustworthy! Without naming any names, remember to be very wary that many shops may offer a price cheaper than us, when in fact they are more EXPENSIVE! On CJS CD Keys, the price you see is always the price you pay. Other shops often offer a cheaper price, only to add on scam ‘payment processing fees’ or ‘payment shield fees’ which bump up the price to WELL over the price of CJS! So no matter what fake ‘prices’ you see on competing websites, you can rest assured that the price you see on CJS CD Keys is the cheapest price. No fake ‘payment processing fees’, just a simple price on the product page which DOES NOT CHANGE! ASK YOURSELF. Why would a trustworthy store get you to pay EXTRA ‘shield’ fee to be guaranteed of a working key? Here at CJS, we believe that customers should get what they pay for. We do not charge any extra ‘protection shield’ fee to our customers. While other shops will simply scam you and leave you out of pocket if you don’t pay the ‘payment shield’ fee, CJS CD Keys support team will look after you and make sure you receive a working key or a full refund no matter what. The prices you see are valid ONLY WHILE STOCKS LAST. It is very likely that the market prices for this game will RISE during the release period due to high demand so we recommend pre-ordering as early as possible to secure your order. Best of all, if you pre-order now you will be one of the first to receive the keys, meaning you can start pre-loading the game well in time for release!! Did you know, you can get a chance to WIN FREE FALLOUT 4 by becoming a fan on Facebook! Since our website launch in November 2009, we have remained dedicated to providing the best pricing and fastest possible service for instant downloads. We are a world leader in game key distribution, selling Steam Keys, CD Keys, Ultraviolet Movie Codes, FIFA Coins, Playstation 4 Game Downloads, Xbox Live Subscriptions, and many other digital download keys! We have become well known for our instant delivery service, thanks to our in-house developed Autokey system, which automatically distributes the unique activation codes to our customers instantly after their payment. Simply purchase your game, activate the key, and start downloading! It’s that simple. We accept Paypal, Skrill, Card Payments, Paysafecard, Bitcoin, Dogecoin, Litecoin, and more! Copyright © 2015 CJS CD Keys. All Rights Reserved. This email was sent to you because we want to give you the best deals possible on the latest games. Did you know? When we reach 100,000 fans, we will activate a massive store-wide discount on all of our products! Check it out! Batman: Arkham Knight Steam Key MEGA OFFER: 50% OFF – £17.50 / €24.45 – Premium Edition available! 50% off Batman: Arkham Knight! 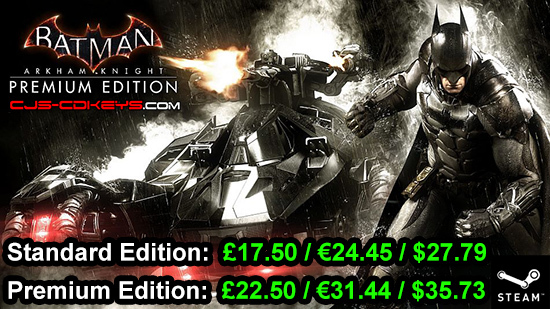 CJS CD Keys currently have the BEST price on Batman: Arkham Knight, Pre-order your CD Key for Steam NOW at just £17.50 / €24.45 / $27.79 and you will get delivery INSTANTLY after payment! That’s right – even though the game isn’t released yet, you will receive your CD Key instantly which you can activate on Steam to begin pre-loading the game right now! We also offer Batman Arkham Knight Premium Edition, which includes the Base Game + Season Pass for just £22.50 / €31.44 / $35.73. This really is the BEST price you’ll find online, and best of all, you can start pre-loading the game immediately after receiving your key! We highly recommend the Premium Edition due to the awesome discount you can get when compared with buying the Season Pass for Batman Arkham Knight Separately! What Does Premium Edition Include? In addition to the base game itself, the Premium Edition of Batman Arkham Knight includes a free copy of the Season Pass for the game! The season pass for Batman: Arkham Knight delivers new content every month for 6 months, featuring new story missions, more supervillains invading Gotham City, new legendary Batmobiles, advanced challenge maps, alternative character skins, and new drivable race tracks. Will it always be this cheap?! The prices you see are valid ONLY WHILE STOCKS LAST. It is very likely that the market prices for this game will RISE during the release period so we recommend pre-ordering as early as possible to secure your order. Best of all, if you pre-order now you can start pre-loading the game INSTANTLY after payment, since we have the keys in stock now! 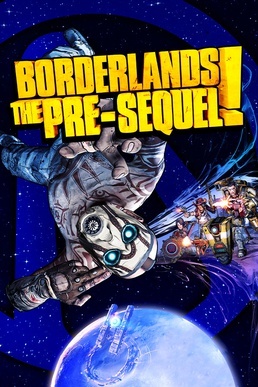 Preloading means you can download the game now, so that the game files will immediately decrypt upon release date so that you can play at the instant the game releases, without waiting for the hefty download to finish! We also offer Final Fantasy XIV: Heavensward from just £16.99 / €23.74! CHECK IT OUT! INCREDIBLE offer for Guild Wars 2 Heroic Edition – Just £17.99 / €24.89 with INSTANT delivery! If ever there was a time to buy this game, it’s NOW! Better still, you can get a further 5% off by becoming a fan on Facebook! CJS CD Keys currently have the BEST price on Lords Of The Fallen Limited Edition, Pre-order your Steam Key NOW at just £22.50 / €28.50 and you will get all pre-order bonuses! What’s more, you can get a further 5% off by becoming a fan on Facebook! Since our website launch in November 2009, we have remained dedicated to providing the best possible prices and fastest possible service for instant downloads. We are a world leader in game key distribution, selling Steam Keys, Origin Keys, Ultraviolet Movie Codes, Battle.net Keys, and many other digital download keys! We have become well known for our instant delivery service, thanks to our in-house developed Autokey system, which automatically distributes the unique activation codes to our customers instantly after their payment. 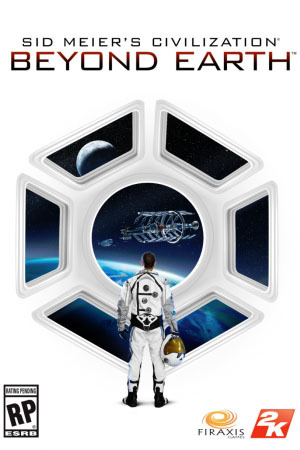 Simply buy the game, activate the key, and start downloading! It’s that simple. Copyright © 2014 CJS Sales & Services LTD. All Rights Reserved. Sniper Elite 3 CD Keys revoked by Rebellion – We Smell A Rat! CJS would like to Re-iterate that our keys were fortunately NOT affected by this scandal. None of the Sniper Elite 3 CD Keys sold by CJS-CDKeys.com were affected, and we still have them in stock ready for instant delivery. 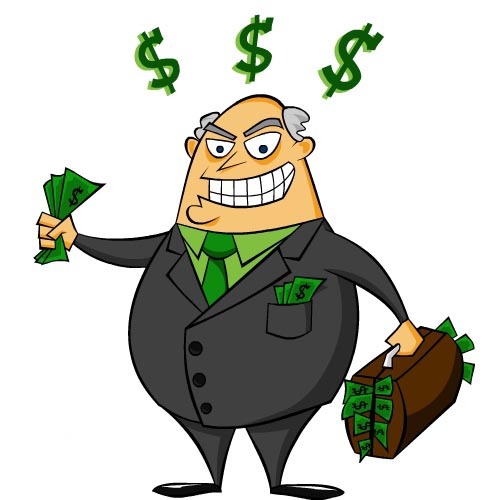 We are reporting on it in this blog post as we think it is wrong that a company should accuse 60+ retailers in our sub sector of the industry of being illegitimate. One of the biggest scams to hit the game industry is unfolding as I type this article. You may already be aware of it. 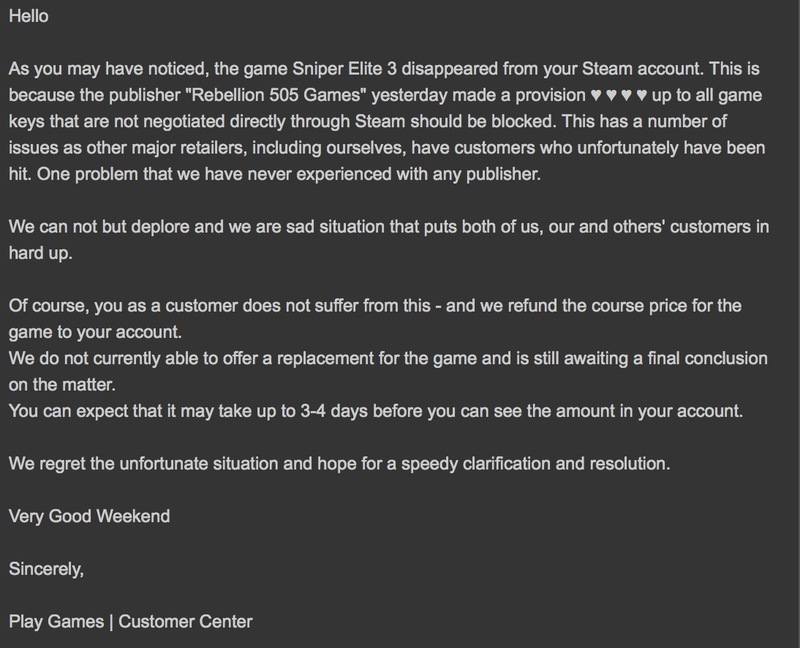 Thousands, if not hundreds of thousands of Sniper Elite Steam 3 CD Keys have been Illegally revoked and de-activated, by the game’s own developer, Rebellion. CJS CD Keys are lucky enough that we have not been affected by this problem. If we ever are, we will always provide customers with a full refund or a fully working key, but so far, so good. What’s not okay though, is that Rebellion appears to be trying to frame innocent retailers for their own doings, but we seek to find out the truth about the goings on. On 27th June, thousands, *It has since been confirmed to be around 7000* of CD Keys for Sniper Elite 3 were revoked from customer’s Steam accounts without warning and without a legitimate reason. 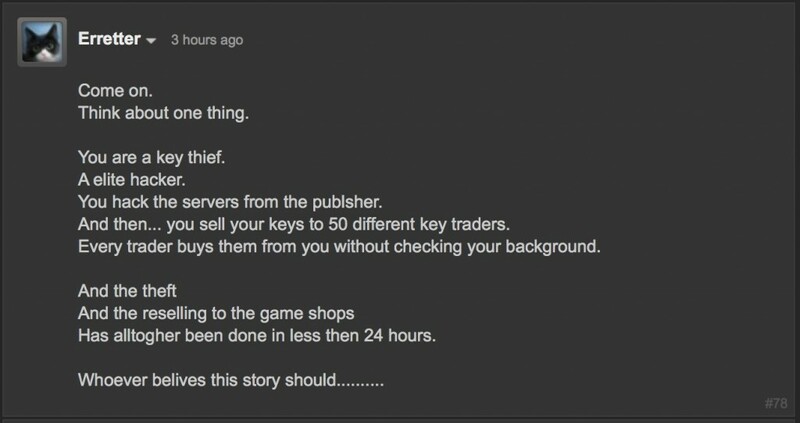 Affected customers and indeed, the affected retailers who sold the keys, had purchased the keys legitimately, only to see the game disappear from their Steam game library. How many retailers were affected by the problem? The situation is currently unfolding, but it appears that over 60+ retailers have been affected by the scam. An interesting point is that the issue is not unique to companies dedicated to selling CD Keys. There are also many reports that customers who purchased from official outlets such as GreenManGaming were also affected by the scam. The only keys which were NOT revoked appear to be keys sourced from boxed copies of the game, and keys bought directly on Steam. Immediately after the keys were banned, Rebellion tried to cover themselves by posting the following statement on the Steam Forums: (it has since been edited to suit their side of the story). If rebellion were happy for the games to be purchased anywhere, then why did they previously recommend that customers only buy directly on Steam? (They since removed this comment). How could ‘just one set of keys’ reach 60+ retailers? The affected retailers are based in countries all over the world, who buy from various distributors around the world. Some even buy directly from the relevant regional publisher, if they are a large shop with sufficient purchasing power. is an absolute fabrication. We beleive Rebellion banned these keys for the exact opposite reason. While the term ‘unauthorised reseller’ bounces about the internet, the truth is that there is no such thing. Under the first-sale doctrine, the copyright ownership of a license key ends after the first sale (I.E from publisher to distributor). See here for full details. This means that all legal entities (even members of the public) have a legal right to re-sell their license keys as they see fit. The developer has absolutely no legal right to stop keys being re-sold. The only requirement in law for re-selling virtual software / digital goods is that the original copy of the virtual item must be destroyed once copied over to someone. (This makes more sense when considering the re-selling of a digital copy of your legally purchased music, for example). Of course, with Steam’s DRM system, the key can only be used once, so deleting access to the ‘original copy’ is not an issue. Unfortunately Rebellion want to encourage the public to purchase their game at the full retail price, directly from Steam, in order that they can maximise profits. We have reason to believe that the banning of keys sold outside of Steam goes against numerous antitrust, anti-competition, and anti-monopoly laws. While many game developers (and Steam themselves) will legitimately try to encourage users to stay away from re-sellers and buy directly on Steam at the full retail price, what Rebellion has done today is absolutely immoral. They have banned legitimately purchased keys, legally owned by multiple online retailers and gamers worldwide, and covered their tracks by claiming that the keys were ‘stolen’. If you are a gamer and you have purchased from a retailer only to see your key revoked, we would love to hear from you in the comments section. Most retailers should give you a full refund or replacement on the key as a goodwill gesture. In the meantime the retailers affected by this scam will no doubt take it upon themselves to clear their names, claim back the money on the illegitimately revoked keys, and make sure that Rebellion are punished for this immoral act. We (CJS CD Keys) are lucky enough that we have not been affected by this issue. If you purchase Sniper Elite 3 from CJS CD Keys you will not be affected as we have tested our keys and they are in fully working order. In addition, CJS CD Keys have a policy where customers will always receive a fully working key (forever) or a full refund, so you know you have full support if you ever did run into trouble for some reason. CJS would never deal in ‘stolen’ goods, and we know for a fact that many of the affected retailers also would never do such a thing. Indeed, it’s quite difficult to believe that thousands of game keys were ‘stolen’ and magically reached numerous distributors worldwide in the space of a day. It’s rather obvious who is the guilty party here. “Ok, this kind of thing has to stop. I understand where Rebellion are coming from in regards to prices being too low and regional based restrictions being bypassed but this is a free internet where people have the choice to do what they like with something they just purchased. What you are doing here is against the fair trade act 1973 and will be dealt with to the full extent possible in terms of claiming any losses and damages from Rebellion. All of our suppliers are officially licensed distributors yet you have the audacity to claim we are all fraudulent buyers and that everyone can only buy it from steam for it to be legitimate. This is a complete fabrication and has no legal standing whatsoever. Every person or consumer has a right to purchase your game wherever they see fit of that company is buying your games legitimately and you cannot punish us or any other seller for selling your game if this is the case. This is possibly the most underhanded tactic i have ever seen from a publisher and you deserve to be punished for it. Which retailers have been affected by the scam? We are currently aware that over 60+ online retailers have been affected by the scam. There are numerous reports on the Steam forums of GreenManGaming customers have been affected too, so it seems that this problem is not unique to CD Key retailers. It’s rather clear that Rebellion are trying to monopolise on the digital sales of their game, while framing legitimate retailers and claiming the keys as ‘stolen’ to try and cover their tracks. It appears that Rebellion have attempted to backtrack again on their post by providing a short list of companies which they sell directly to, seemingly trying to imply that anyone not on the list is not legitimate. 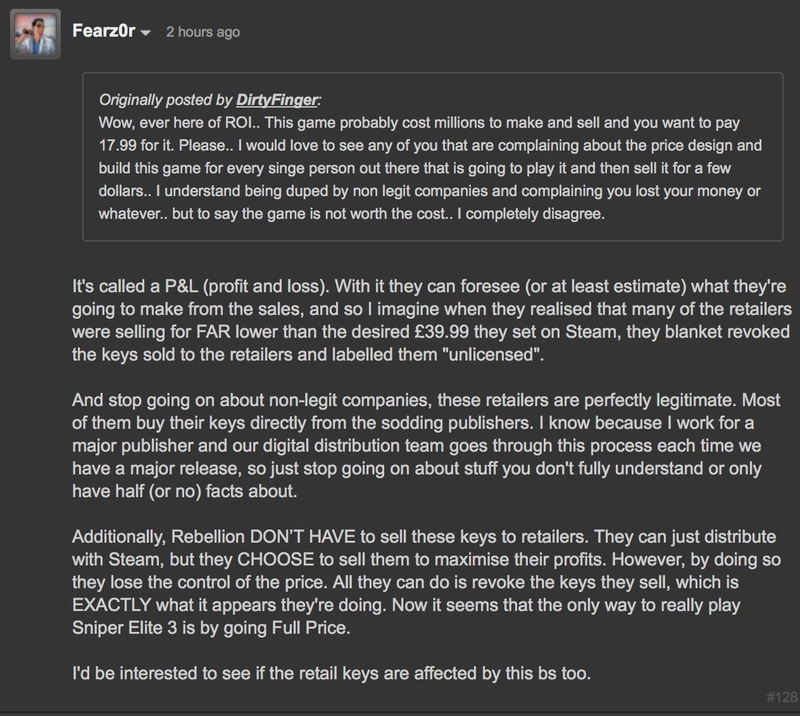 There is a slight flaw in this though… CD Key shops do NOT tend to buy keys direct from the developers. They buy the games in physical boxed form, from authorised distributors. Do you see Amazon, Game, Shopto, and every other single independent boxed video game company worldwide in their list? No. That’s because they are only listing companies which they have direct contracts with.. They are excluding the long list of companies which buy boxed copies from the publisher or distributor… and that includes most of the 60+ digital key retailers. The truth is, CD Key shops do NOT tend to buy in digital form. They buy physical boxed copies and convert them into digital keys. The supply chain for physical boxed copies goes something like this: Rebellion -> Publisher -> 100+ Distributors (in various countries) -> Retailers (Amazon, GAME, CJS CD Keys, EBGames, etc). Some of the bigger retailers can sometimes buy directly from the Publisher if they have sufficient buying power. While the likes of Amazon ship out the boxed version of the game, CD Key stores open the boxes and sell them digitally. That is the sole difference. The growth in the market over the last years has enabled CD Key sellers go a step further, and have the official distributors scan the codes on behalf of the CD Key shops, saving on unnecessary shipping. The distributors can be anywhere in the world, since keys can be delivered within seconds. The result? 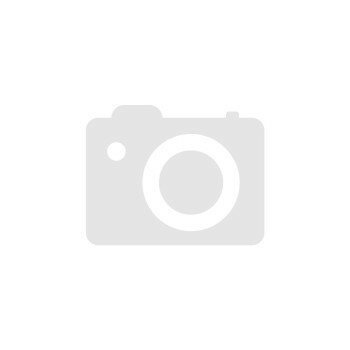 Cheap games, sold digitally. As you can see, while our keys may seem impossibly cheap to the average digital gamer, they are actually not so unbelievably cheap, when compared to their physical counterparts. CJS CD Keys expands Bitcoin acceptance by accepting DogeCoin, Litecoin and more! 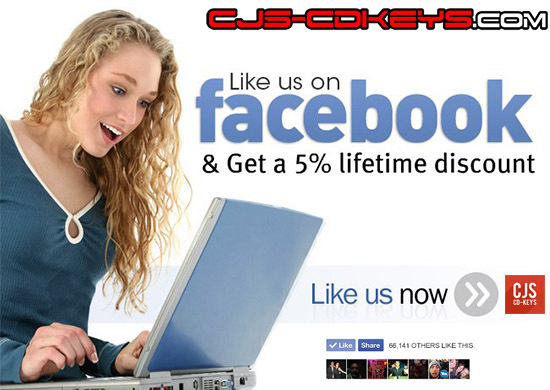 CJS CD Keys has just introduced another ‘first’ for the CD Key industry. 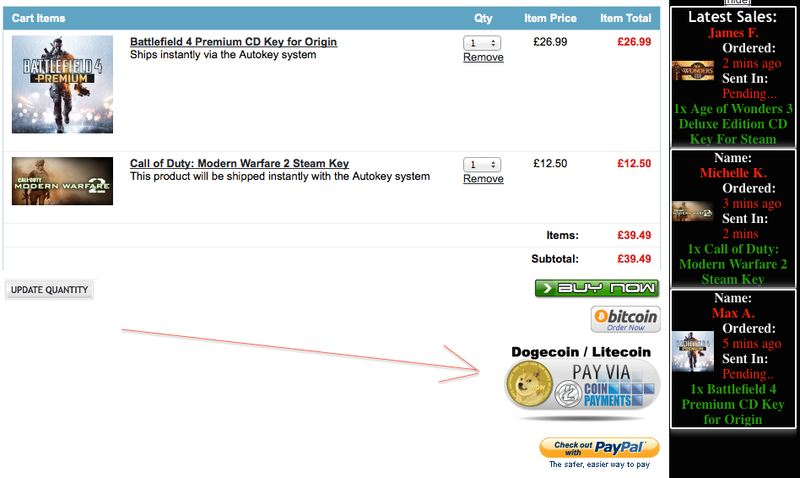 If you want to know where to buy games with your Dogecoins, Litecoins, Redcoins, and almost any other form of crypto-currency coins, then look no further. While CJS CD Keys have accepted Bitcoin for some time now, we’ve now expanded our acceptance to Dogecoin, Litecoins, Redcoins, and more! 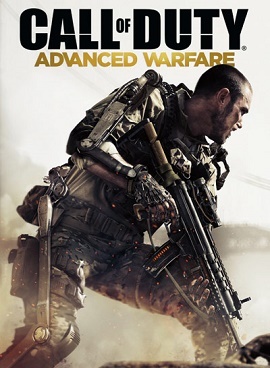 Buy the latest PC Games at awesome prices at CJS-CDKeys.com using your favourite Crypto-currency! The Windows 8 operating system is steadily rising in France. According to the May 2013 Operating Systems Barometer by the online intelligence solution provider AT Internet, the country famous for Louis Vuitton, Dior, and Chanel recorded the highest visit share for Windows 8 during the fifth month of the year. This latest data puts France at the top of the list of European countries that utilize the Microsoft operating system. However, this improvement might be derailed because of a statement by Air France CEO Jean-Christophe Lalanne. During an interview with IT news and analysis site Computing at the 2013 Air Transport IT Summit in Brussels, Lalanne said that Windows 8 is nowhere near the brilliant features of iPads, citing the OS’s lack of applications. “We think that for the existing applications that are running on Windows 7, it could be interesting to think about refurbishing them for Windows 8,” he said. If Lalanne was relating Windows 8 features to his business, then his concerns are valid because the Microsoft OS isn’t really developed for industrial applications. But from a gamer’s perspective who is into poker games, this wouldn’t be the case. One of the top features of Windows 8 is the free-to-play (F2P0 World Series of Poker: Full House Pro, a game added to the OS at the start of the year. This title, which has some resemblance to the games offered at Partypoker, was installed in the Windows 8 to boost PC sales. WSOP: Full House Pro is one of the things that you will love the most from Windows 8. With this game, you have instant access to a high quality poker game – without the need for downloads. The game has many redeeming features. Among these are the F2P-jump in that lets you play with real people online, a daily stack of chips to let you challenge players at any level, and a variety of games (e.g. single-player mode, single-table games, and full-blown tournaments) that will definitely suit your style of play. It also comes with specialty games that include eight head-to-head Pro Takedowns, and an All-in Pro Takedown. Each mode also has ESPN announcers Lon McEachern and Norman Chad that make you feel like you are in an authentic WSOP game. Lalanne should play Windows 8’s WSOP: Full House Pro to realize how different it is from iOS devices. WSOP is one of the top games on the Windows 8 platform. It’s free, exciting, and as real as the professional poker contests. Ace Combat Assault Horizon – Enhanced Edition Steam CD Keys are now in stock available for instant delivery! At just £17.50, you can get an instant Steam key download for this game immediately after your payment. Instantly after your payment, you will receive a brand new unused CD Key for Ace Combat: Assault Horizon. Best of all, you receive enhanced edition at no extra charge, totally free! Once you pay for the item, you will receive the unused ace combat assault horizon product key instantly after your payment via our online delivery system, called Autokey. Autokey will present you with a 15 digit CD Key for Ace Combat: Assault Horizon – Enhanced Edition. 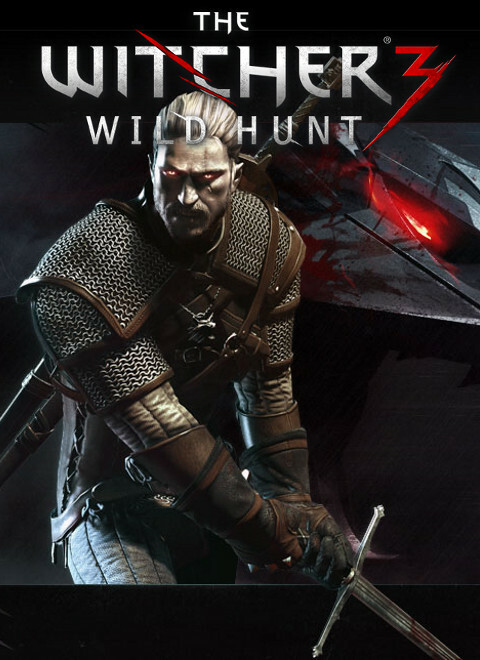 Simply enter this CD Key into the Steam client and you will receive a full digital download of the game. The product keys that we are selling work on Steam. These Steam Keys are brand new, genuine, and unused. They can be activated once against a Steam account, at which point the game will be permanently binded to the account. Simply download and play! Ace Combat Assault Horizon CD Keys were only recently added to our store, and to celebrate this amazing game arriving on the PC platform, we are offering the game at just £17.50 for a limited time only as a super promotion! Take advantage of this offer now and start playing this awesome jet fighter simulation game right away!